Endometriosis is a disorder where the tissue that normally develops in the uterus grows outside of it. According to Mayo Clinic, this tissue can grow on the ovaries, fallopian tubes and the tissue in the pelvis. While uncommon, this tissue can grow beyond the pelvic area and organs. During the menstrual cycle, this tissue will “thicken, break down and bleed” as it normally would. Since this tissue is displaced, it becomes trapped in the body. Tissue irritation, scar tissues, cysts and adhesions can occur as a result. Symptoms can include pain, infertility and excessive bleeding. Some women experience symptoms like nausea, diarrhea, constipation, fatigue and bloating. Symptoms generally worsen and become more severe during menstruation (1). The disorder is considered to be common as there are at least 200,000 cases in the United States each year. The Office on Women’s Health estimates that 11% of women between the ages of 15 and 44 may be effected. It is also noted that the disorder is especially common in women in their 30s and 40s (2). Cannabidiol, or CBD, is a cannabinoid compound derived from and found in its highest concentration in hemp. A physiological system in the body called the endocannabinoid system (ECS) uses cannabinoids to fuel itself. The ECS’s primary function is to create homeostasis, or internal balance, throughout the body. There are two known receptor sites in the ECS, CB-1 and CB-2, which work with a variety of other systems. The ECS is responsible for functions like sleep, balanced mood, pain, inflammation and immune system. Cannabidiol is a popular choice as it is“non-psychoactive,” meaning it doesn’t effect mental processes. Whole plant hemp oils are loaded with CBD, other beneficial cannabinoids, vitamins, minerals and omega fatty acids. How can CBD rich whole plant oil support with Endometriosis? Research is finding that the endocannabinoid system, specifically the CB-1 receptor, are involved in uterine function. Women with endometriosis have few CB-1 receptors in their uterine tissue, which could impact the inflammation, pain and growths associated with the disorder. A 2010 study on rats found that the ECS was linked to endometriosis, including the abnormal tissue growth and associated pain. Findings suggest that cannabinoids are effective in minimizing the symptoms of endometriosis. When CB-1 receptors were stimulated, the sensitivity to pain was reduced (3). The findings have created interest and researchers are pointing towards a clinical endocannabinoid deficiency (CED) as playing a major role in the disorder. CED is theory in which low levels of cannabinoids in the body can cause disorders similarly. Dr. Ethan Russo compares deficiencies in neurotransmitters leading to brain disorders to the theory of CED (4). The American Journal of Pathology published research in 2010 with evidence that cannabinoids not only supported in alleviating the symptoms of endometriosis, but could serve as treatment in stopping the abnormal tissue growth (5). 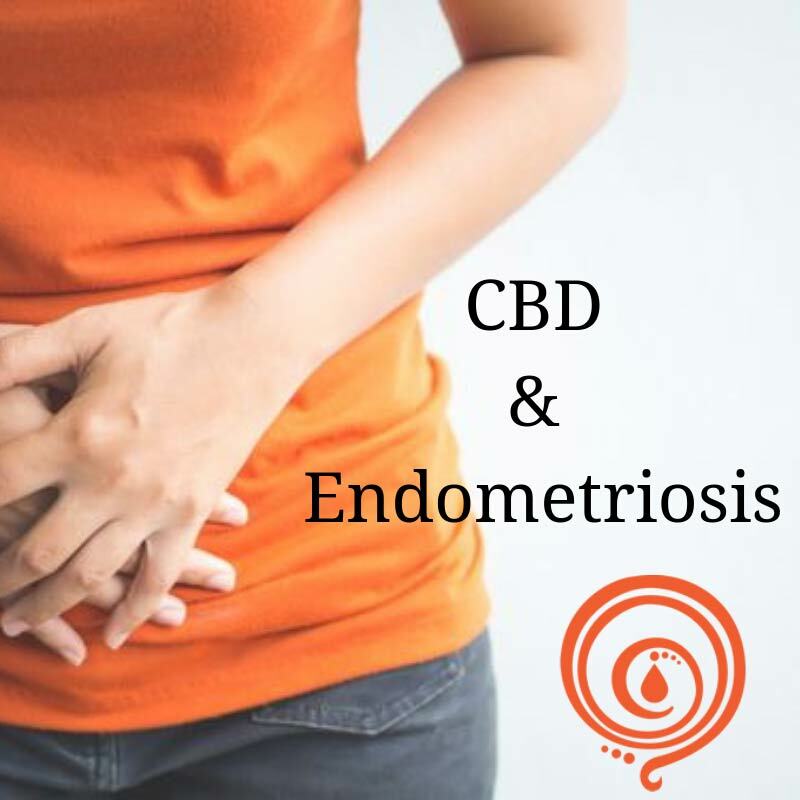 Certain cannabinoids, especially CBD, are effective in managing inflammatory responses including the chronic inflammation associated with endometriosis.